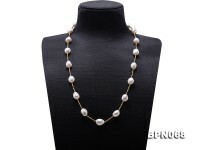 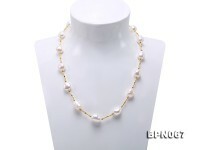 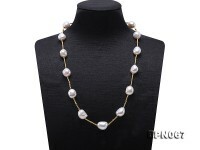 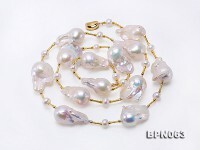 Unique baroque pearl necklace made with 17.5×28-19.5x35mm white baroque pearls, alternated with small round freshwater pearls and gold-plated sterling silver accessories, closed with a delicate clasp. 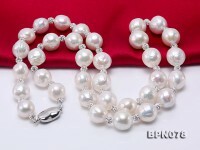 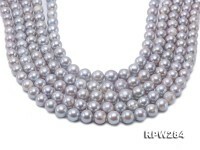 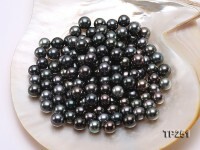 Each pearl have unique shape, smooth skin and very strong mirror-like luster. 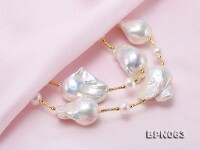 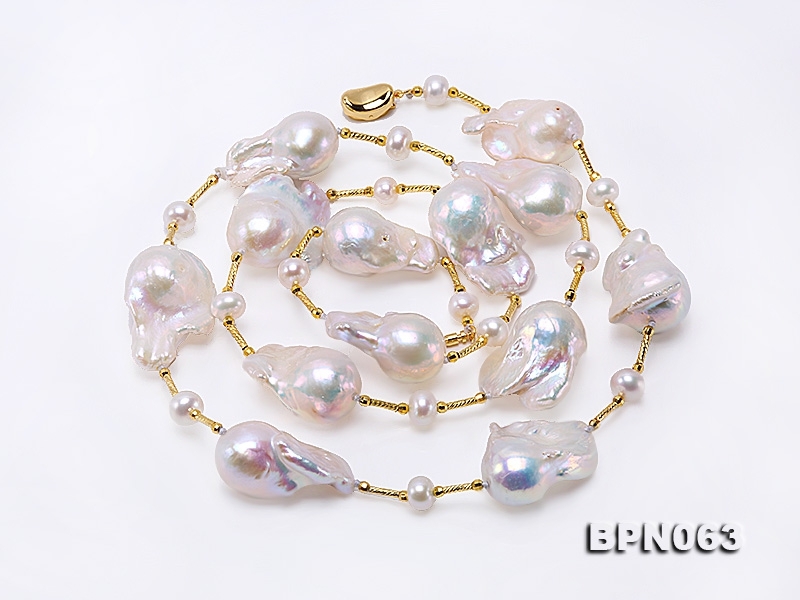 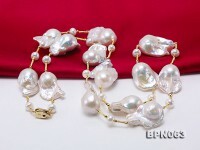 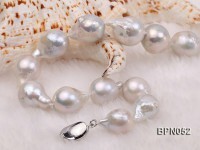 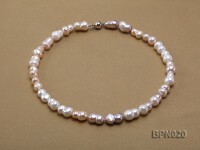 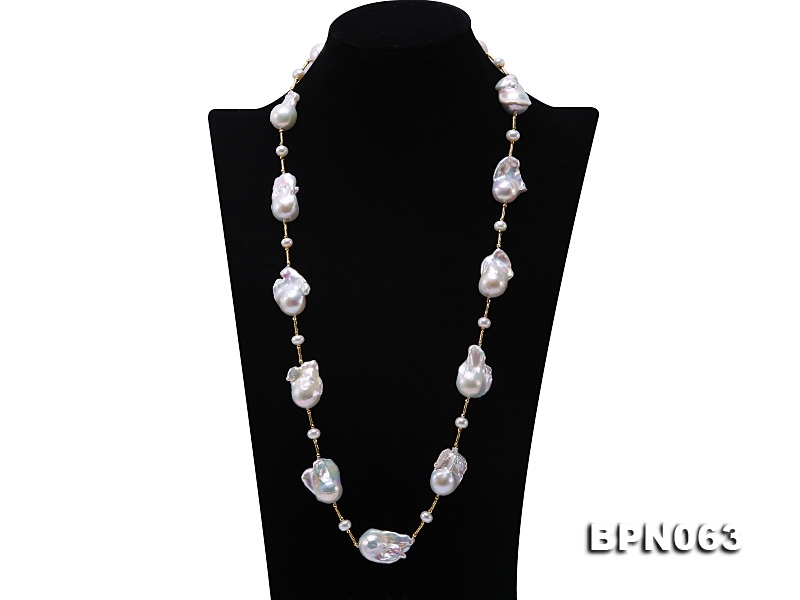 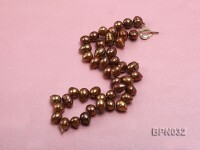 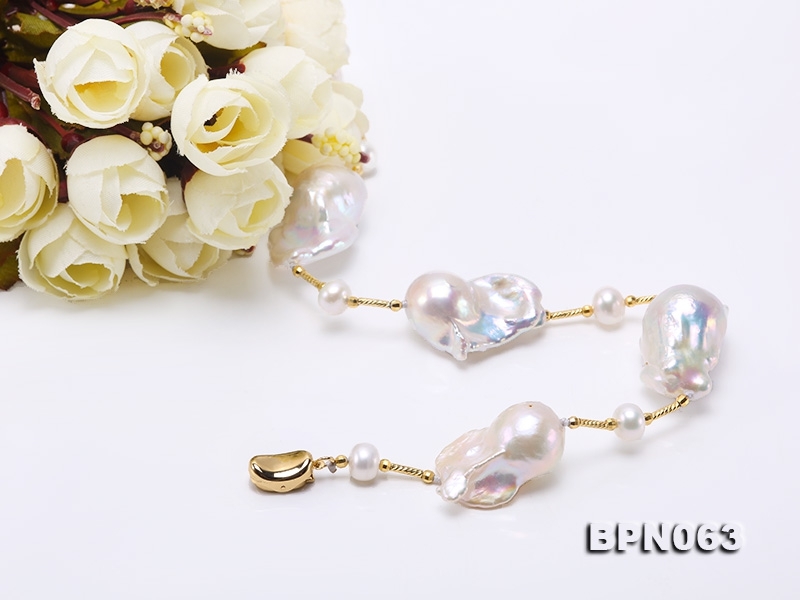 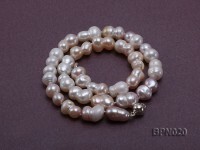 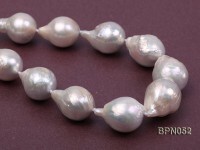 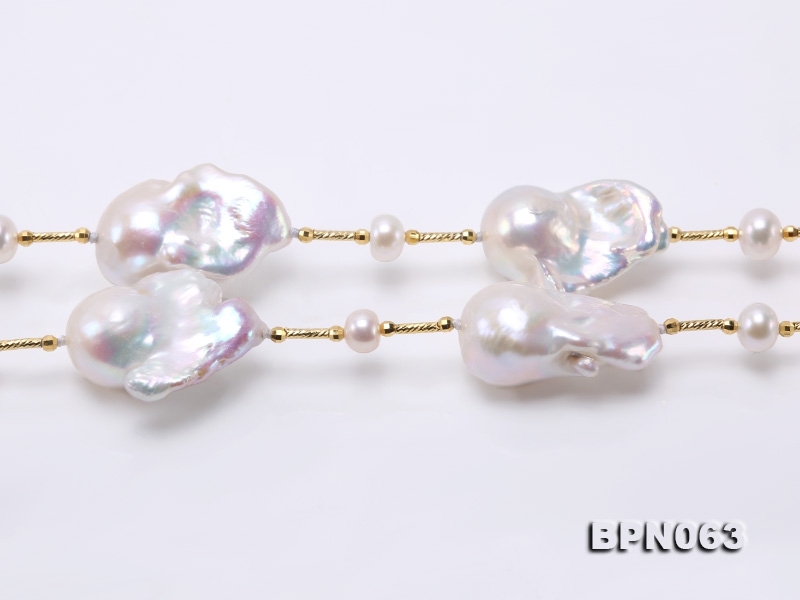 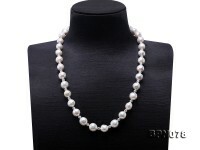 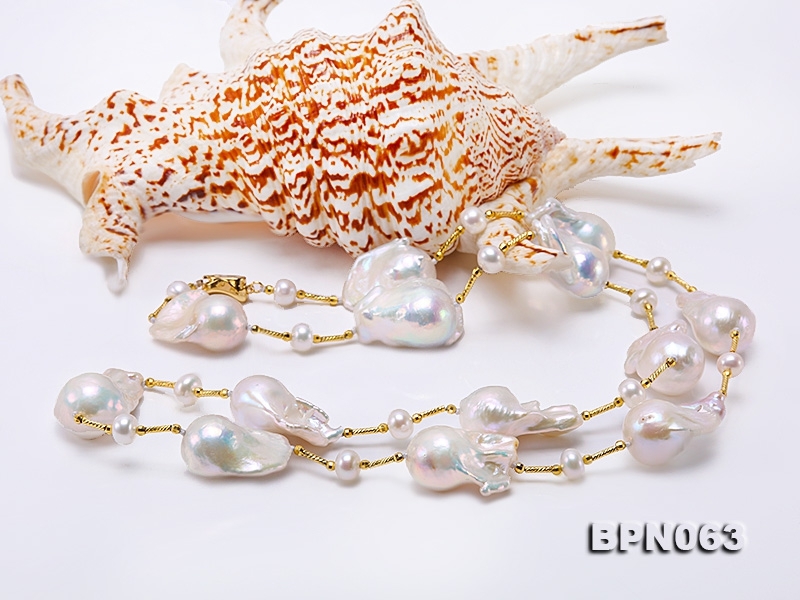 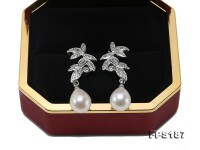 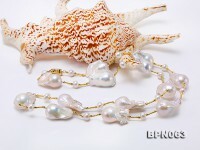 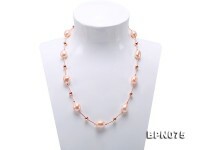 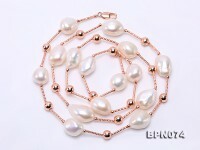 Baroque pearl is nature’s generous gift. 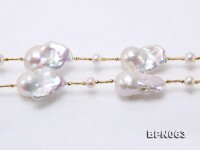 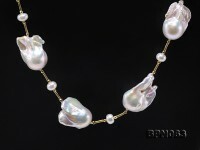 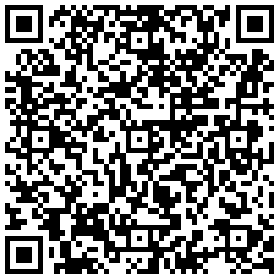 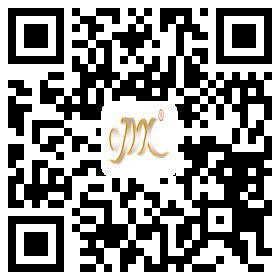 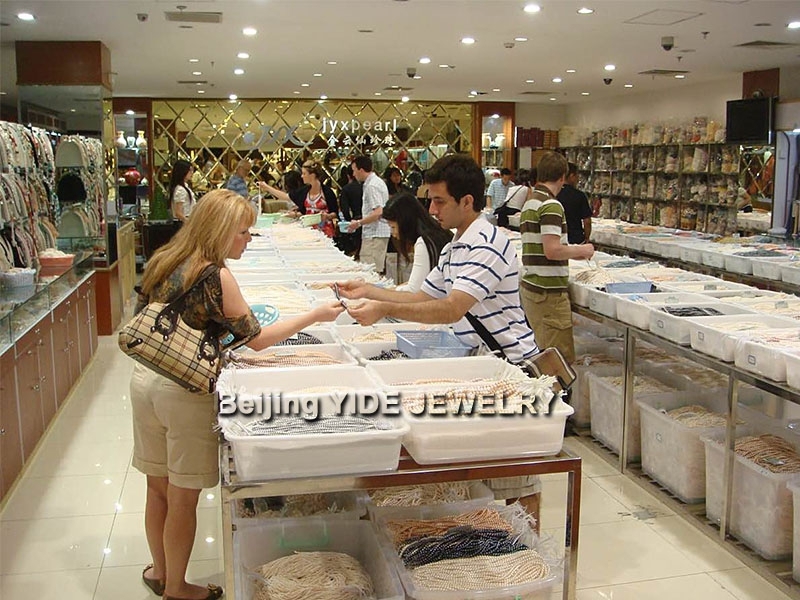 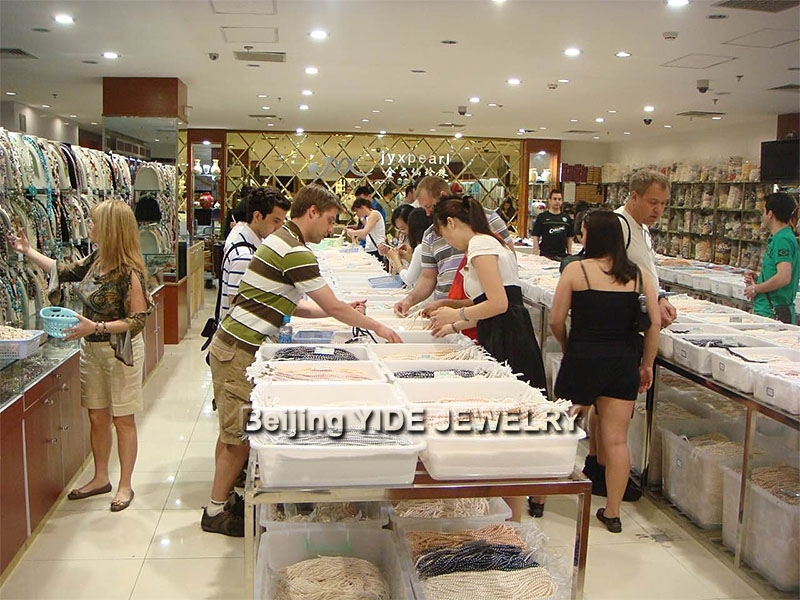 Each pearl is “one of a kind”, inspiring fancy creations from jewelry designers.